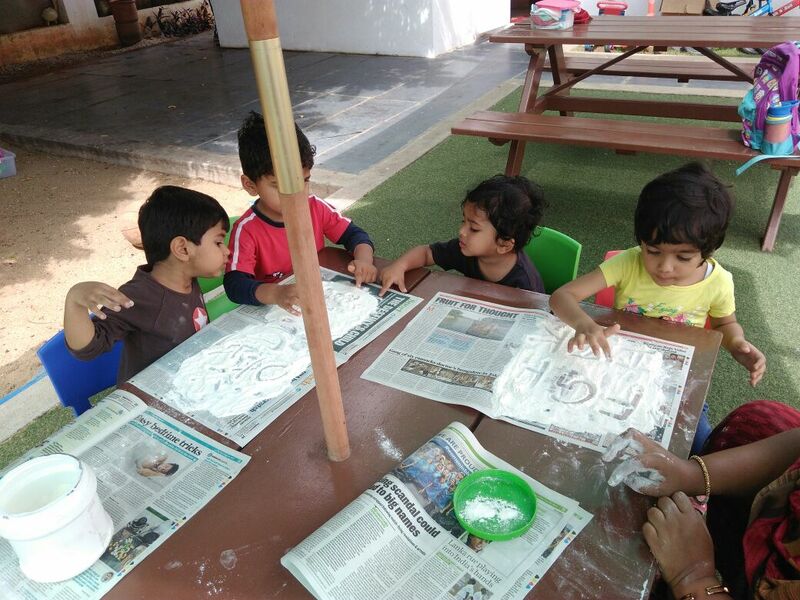 Let your children experience a challenging and constructive experience of learning, discovery and development all in a fun and enriching environment! Mirror, Mirror on the wall would you like to listen to tale so tall? on Feb 17th, Saturday @ 4:00 pm. We would like to thank all of you who came with your little ones and made our Family Day an actual Fun event. Without you it would not have been so memorable. And ofcourse, we would be remiss, if we did not thank your little ones, who validated our efforts by refusing to leave. Here are few moments captured on camera. We are delighted to present FAMILY FUN DAY AT SUNBIRD on September 10th. We have spent considerable time and effort to ensure that you and your little one have a great time! We would very much like you to participate in the event. So, block the dates in your calendar and get ready to have a smashing time with us. We look forward to seeing your smile! A fun filled Day of activities for your entire family! Unstructured play is important for a child because it gives them a sense of freedom and control, and allows them to learn about themselves, what they like and don’t like, and even make mistakes without feeling any pressure or failure. Children naturally, when left to their own devices, will take initiative and create activities and stories in the world around them. Sometimes, especially with children past the toddler stage, the most creative play takes place outside of direct adult supervision. Free play in toddlers and young children most frequently involves spurts of gross motor activity over a period of time with rest in between. Most children are smiling and laughing, sharing ideas and seen helping their friends when they engage in freeplay, and it is reasonable to assume that their mood is improved during and after play. The Ganesha Idols painted by our children! Kids in day care need more outdoor play! Is there anything more fun in the world than playing? Pure, child-like freedom, where anything is possible and anything goes. Fresh air and exercise may be going by the wayside for little ones, suggests a new study that found preschoolers in child care centers often don’t get enough outdoor play time. Recent studies also tell us why only indoor play is detrimental to children’s growth. Researchers who studied more than 380 children, ages 3 to 6, who were enrolled at 30 different child care centers published in the American Journal of Preventive Medicine, showed that only 3 in 10 children in full-day child care programs got at least 60 minutes of outdoor recess. This implies that nearly two thirds had either very less or no time outdoors at all. Better learners: Outdoors, a child learns on multiple levels with each new adventure. With all of the imaginary castles, lands, creatures, the brain develops at a much faster rate than for those who play indoors. There are numerous effects. More social: Not only do they become better learners, and do well in school, but they are more fun to be around (i.e. they make more friends)–and play have active imagination! Consequently, children will be much happier because, hey, they’re smart and they have a lot of friends. Physical growth: Not only are there mental advantages to playing outside, there are even more physical advantages. Obviously, if a child is playing outside he/she will be way more active than the child that stays indoors. The great thing about this is that it can have long-lasting effects. If you think about this, it makes perfect sense; teach a child when they’re young to love the outdoors and they will love it forever. Now here’s what the experts say about the disadvantages of indoor play. Researchers have found a disorder called “Nature Deficit Disorder”. Basically, this means that not playing outdoors and with nature (e.g. hiking or camping) is really detrimental for kids. They found that children who lived closer to nature and had more opportunities to be in the natural world were less stressed out with. They also found that children who had a more natural day-care setting had better motor coordination and could better concentrate/pay attention, back to what we were talking about up top. Indoor Vs Outdoor: Now right about here some people may argue for indoor play. Doesn’t indoor play promote creativity, lesser risk of injuries, lower risks of exposure to dust etc? Well, yes. But children are missing connecting to nature, the freedom to invent games themselves and interact freely with others. Some parents may feel that outdoor time takes away from “learning.” But children learn through physical activity, too. Based on previous research, we know that gross motor skills are so important. Kids this age are learning to skip, throw a ball. Those gross motor skills are a really important part of growing up, of their development — just as important as learning their letters and learning about math. Now some people may be wondering why parents let their kids stay indoors if playing outside is so much better. Some parents are worried about picking up germs outside. Oddly enough, research shows that the air indoors is actually more likely to promote asthma than being outside (Epstein, 2001). For families who live in big cities, it does not seem like there is a choice because parents fear for their kids’ safety. This has become such an issue that the current generation is used to being watched constantly, unlike prior generations. Outdoor activities are fun and very helpful for children’s development. Indoor activities, though they may be fun, can be detrimental because they do not promote adequate physical and mental growth. What happens in child care centers has important and lasting effects for children’s total daily levels of activity. The recommended guideline for preschoolers is 120 minutes of physical activity daily. Majority of preschoolers spend time in day care centers. Playing outside is especially important for children who don’t have active-time at home. Sand is a toy! The less a toy does the more a child will learn! Sand is such a great sensory toy for kids as they explore their sense of touch and play and discover the wonderful texture of sand! 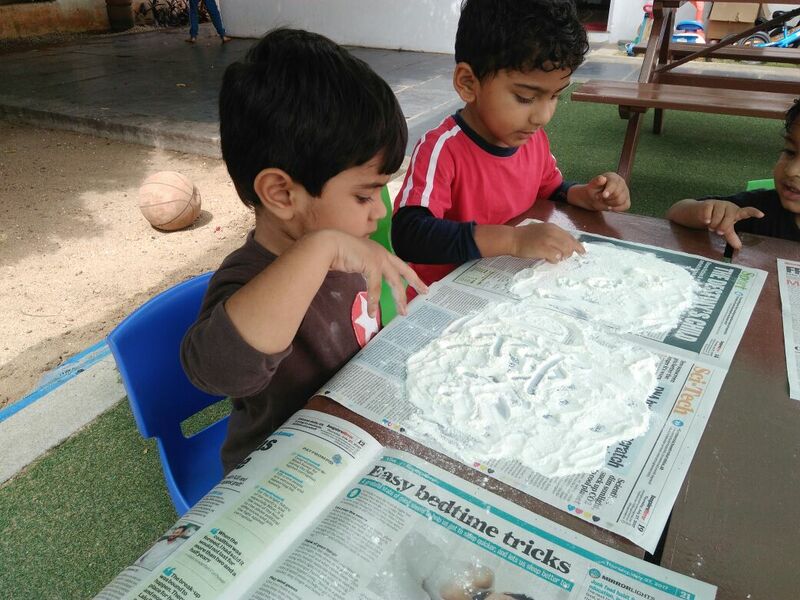 There are hours of fun and learning to be explored with sand as it promotes and encourages imaginative play! 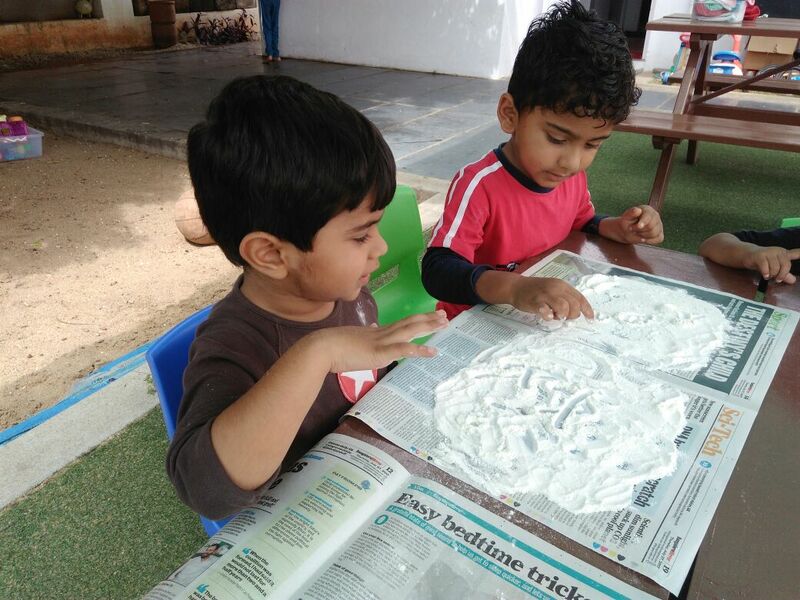 Children enjoy touching, feeling and exploring the wonderful textures of the sand. You will need sand, sand…… glorious sand! A box filled with bits and pieces, toy animals, recycled items such as toilet rolls, empty bottles and boxes and also a collection of natural items from the garden such as leaves, twigs and stones. Playing in the sand can be a great opportunity for children to have unstructured play time. Sand allows and encourages the making and creating of an imaginary world and stories. Pretend cars travelling though toilet roll tunnels, a frog sitting in a pond and a little doll sun baking on a dried leaf. Whether shaped into castles, dug, dripped, sifted, or buried, sand can take many different forms, thus offering endless opportunities for fun and learning! Allowing your child to play in the sand by themselves and with others helps them to develop fine motor skills like those necessary to use a small shovel, pull a truck, and build a castle or make different shapes. By burying themselves in sand, and feeling their body position within the sand, children are engaging their proprioceptive sense, or the sense of their body relative to space. Writing words in the sand offers a chance to develop language skills. Parents can ask questions to capitalize on the language play that can occur in the sand. Play can also help children develop social skills like problem solving, sharing, and communicating. Sand play offers a limited amount of space and toys for children to share while accomplishing goals they set for themselves like building a castle together. 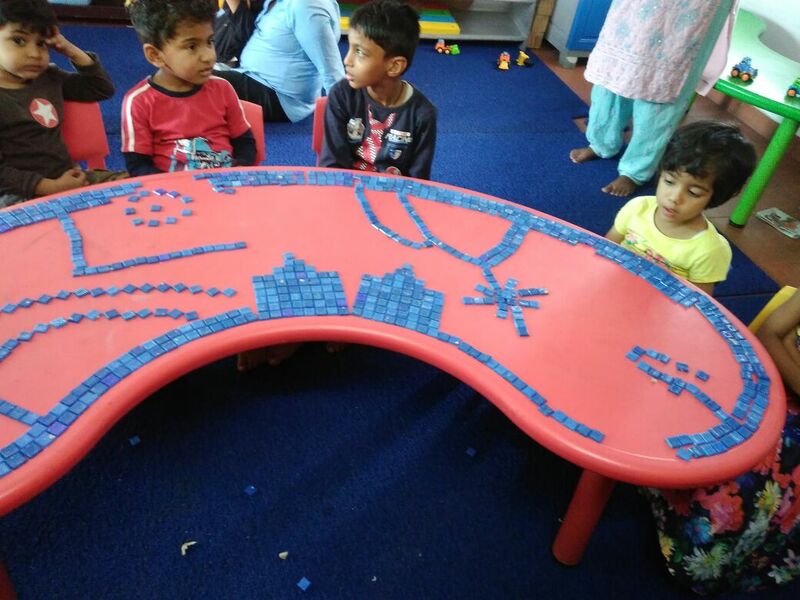 Mathematical concepts can be developed during sand play by providing children with measuring spoons and cups, containers in a variety of sizes and shapes, balance scales, or counting toys. As you observe children’s sand play, use mathematical terms like more/less; many/few; empty/full; heavy/light. Then challenge children to count how many scoops it takes to fill a container…Sequence accessories by size. 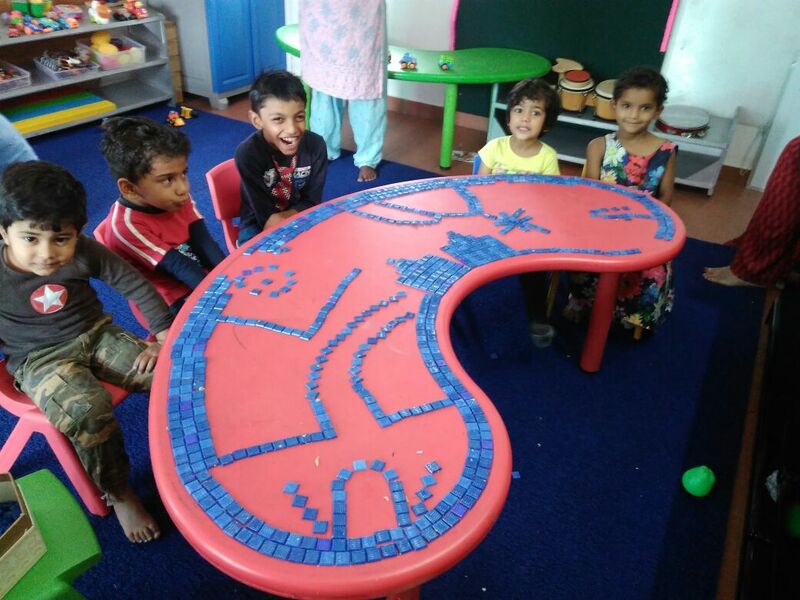 One of the benefits of a contained space like a sandbox is that depending on the age of their child, caregivers can supervise children from a short distance and create an independent play experience. This type of natural and casual separation between parent and child can build trust and confidence. As long as children continue to feel safe and are not under the impression they’ve been left behind, brief independent play opportunities can lessen separation anxiety and promote healthy parent-child attachment. Promote creativity and imagination through role and developing stories. Sensory- Development of the sense of touch. Feeling and manipulating objects and moulding the sand. 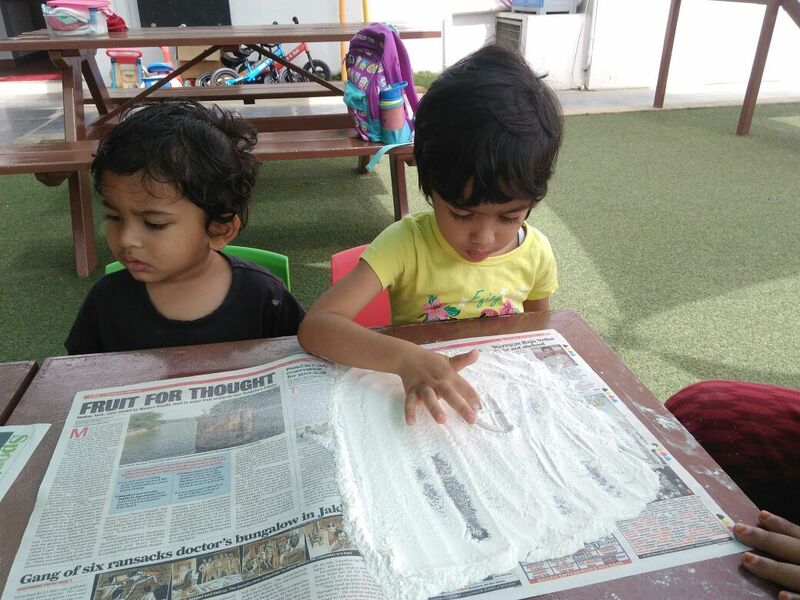 Language development – playing with sand is a social activity requiring speaking and listening, also developing vocabulary. Practising and experimenting with language. Researchers studied kindergartners’ behavior and followed up 19 years later. From an early age, we’re led to believe our grades and test scores are the key to everything — namely, going to college, getting a job, and finding that glittery path to lifelong happiness and prosperity. Nope, it’s not hippie nonsense. It’s science. Researchers measured the social skills of 800 kindergartners in 1991. Two decades later, they looked them up to see how things turned out. Kindergarten teachers evaluated the kids with a portion of something called the Social Competence Scale by rating statements like “The child is good at understanding other’s feelings” on a handy “Not at all/A little/Moderately well/Well/Very well” scale. The research team used these responses to give each kid a “social competency score,” which they then stored somewhere until each kid was 25. At that point, they gathered some basic information about the now-grown-ups and did some fancy statistical stuff to see whether their early social skills held any predictive value. Those good test scores we covet, they still matter, but maybe not for the reasons we thought. But what that test score doesn’t tell you is how many times a kid a) worked with a study partner to crack a tough problem, b) went to the teacher for extra help, or c) resisted the urge to watch TV instead of preparing for a test. That’s a fancy way of saying that while some kids may just be flat-out brilliant, most of them need more than just smarts to succeed. Maybe it wouldn’t hurt spending a little more time in school teaching kids about the social half of the equation. We know we need to look beyond GPA and state-mandated testing to figure out which kids are on the right path. That’s why the researchers zeroed in so heavily on that social competency score. What they found probably isn’t too surprising: Kids who related well to their peers, handled their emotions better, and were good at resolving problems went on to have more successful lives. What’s surprising is just how strong the correlation was. Social behaviors can be learned and unlearned — meaning it’s never too late to change. The researchers called some of these pro-social behaviors like sharing and cooperating “malleable,” or changeable. Let’s face it: Some kids are just never going to be rocket scientists. Turns out there are physical differences in our brains that make learning easier for some people than others. But settling disputes with peers? That’s something kids (and adults) can always continue to improve on. And guess what? For a lot of kids, these behaviors come from their parents. The more you’re able to demonstrate positive social traits like warmth and empathy, the better off your kids will be. This study has definite limitations, which its researchers happily admit. While it did its best to control for as many environmental factors as possible, it ultimately leans pretty heavily on whether a teacher thought a kid was just “good” or “very good” at a given trait. The bottom line? We need to do more than just teach kids information. We need to invest in teaching them how to relate to others and how to handle the things they’re feeling inside. For full details on the study, you can read it in its entirety in the American Journal of Public Health. Do your children say “I can’t” instead of “I can”? Children are not born problem solvers. They learn how. Help them put what they know & can do into action. Thinking is not a subject all by itself–it’s what you think about that is the subject. We need children who can begin to think about serious subjects. Give them practice in asking & answering questions & practice in making decisions. Ask questions that you really want answers to. Let children know how really smart they are. Let your children ask you questions that they want answers to & take the time to respond thoughtfully. Spur children’s inventive thinking with questions that limber up the brain. Ask how many things can be made from a paper plate. From a rubber band? From a paper clip? Encourage children to imagine. What would happen if the automobile had not been invented? Put a blob of ink on paper, fold it, rub & blot. Ask children to tell you all the things the blob reminds them of. Trade places & try it yourself. Place circles or squares or triangles of various sizes on a sheet of paper. Then ask children to name & draw as many different objects as they can think of using these figures. Help children think ahead about what they would change. What do you want more time for? How would you use more money? What makes you feel really happy? What would you like to keep always the same? What would you like to do tomorrow? Next week? Next month? Involve children actively & early in decision making, especially in family decision making. They can be active participants or can just listen in. In this way they come to know, & to identify with, the process we adults go through in making up our minds. You can’t find your key & no one is home. You get lost on your way to a friend’s house. You are teased on your way home from school. Ask children to think of as many ways to solve these problems as they can. Don’t reject any ideas, even if they sound far-fetched. After they have mulled over three or four different solutions, let them pick one way that seems best. Ask for children’s ideas to remedy a problem they cause (not necessarily at the time when you’re upset). Examples: Mud on the floor, coats not hung up, milk left out etc. Talk with your youngster about some important decisions you have made in the past. Examples: Buying a car, changing jobs, getting married. Tell about the things you considered before making these decisions. Were there good & bad consequences? Were you happy with your decisions? Would you make the same ones again? Encourage children to become planners: What would they do if they were teachers? Fathers? Mothers? Don’t give children decisions to make that you believe are yours alone. There is danger when children are given decisions to make that are really not theirs to make or when children are told they can make the decision & then find that their parent really didn’t mean it. Choose the real decisions that children can make & be prepared to live with their decisions. Children need to know that parents care about what they are doing. Just being home doesn’t always do the job. It’s possible to be at home all the time & not have children feel that their parents care. Children have to know the steps to take on their own to be safe. Children accidentally eat or drink poisons & dangerous medicines lying around the house. Many youngsters become ill & die. What can we do here at home to prevent this from happening? Let’s name a lot of ideas. Help children recognise the warning labels on medicines & household cleaners at home. Discuss what can be done if these products or medicines are swallowed accidentally. The labels tell us what remedies or antidotes counteract the poison. Remind your children to take medicine only with your approval. Take a walk around your home with your child. Check in each room to see that electric cords are not frayed, that throw rugs don’t slide, that old papers, rags & paints are stored properly, that sharp edges of knives & tools are covered. Make a list of items in the house that need to be repaired. Show children how the stove is turned off. If the stove is not to be used at all, explain why. Talk about why children should never play with matches. Take a walk around your house. Show children how to lock & unlock all doors & at least a few windows. Point to exits to use in case of fire or other need to escape. Let children try using all house keys. Have keys made for each family member & put these in special places for safekeeping. Try to make your home as burglarproof as possible. Make sure there is a strong chain on the front door so that it can be opened only partially. Many parents tell children never to open the door for people they do not know. Tell children never to enter the house after school if the door is ajar, a window is broken, or anything looks unusual. Give instructions to go to a neighbor’s or to a store, then to call Mom or Dad & wait for an adult to arrive before returning to the house. Walk with your child or drive through your community. Point out the many signs you see. Which are the signs for safety? What do the other signs tell you? Examples: BUS, YIELD, WALK & CAUTION are some signs that children need to know. Talk about safe places to go in case of danger. Examples: A neighbor’s house, a business office. Prepare a safety kit for your child to take everywhere. It can include an identification card, a list of important telephone numbers, change for several phone calls, & perhaps enough money for bus or cab fare. Tape the kit inside your child’s lunchbox or knapsack. Give instructions to your children on how to talk to strangers on the phone, at the door & on the street. Teach children how to take careful telephone messages that include the caller’s name & phone number. Buy a phone pad or make one out of scrap paper. Practice handling phone calls. Use a play phone or the real phone. Take turns being the caller & being the child at home. Advise children not to carry thick wallets & to keep them out of sight. Girls who carry shoulder bags should hold on to them firmly. If youngsters are carrying large amounts of money, tell them to divide the money & to carry it in at least two places. Talk together about at least three things to increase safety outdoors. Examples: Lock cars, keep personal items out of sight in parked cars, avoid deserted areas. Help your family know how to leave the house quickly & safely in case of fire. Show children the emergency numbers for Fire, Police & Poison Control listed in the front of the telephone book. Tell children to dial “0” for the operator in case of an emergency. For children who can’t read, make a picture chart with the numbers. Buy a small fire extinguisher to keep in the kitchen & a smoke alarm for your home. Practice leaving the house quickly, using different exits. Make these sessions family affairs so that everyone will know exactly what to do in case of fire or an accident. Practice until you are sure children understand what to do. Children are much more likely to stay calm in a crisis if they feel they know what to do. You really can’t teach safety in stages. A six-year-old needs to know as much or almost as much as a twelve-year-old. Try with your children to set up daily situations in which they succeed. Have they learned to swim? Are they able to locate a needed number in the telephone book? Convey to children your expectations that they will start & complete the task or project. Be optimistic, & check that your children have what they need to complete what they are doing. Provide jobs & activities they can do & will feel proud of having accomplished. These include building something needed around the house, taking care of a special corner in the garden or cooking a meal for the family. Let your children know that you–an adult–also have needs. You need praise, encouragement, love–& criticism & put-downs hurt you, just as they hurt them. Ideally, parents should talk to each other first before they tell children what to do. Parents are usually impressed to see the matching skills in their 2-year-old child. However, not many understand what all the brouhaha is about! Well, these skills are an extremely important milestone for your toddler. You’ve been pointing out different objects to your toddler in pictures as well as real life. You’re also exhilarated when she follows suit and points out a few. But do you know the multiple benefits of these skills? What your toddler sees in a picture is just a one-dimensional image of that object. However, when she learns to match a real life object to it, she can actually make out the basic differences between the two. This, in itself, is a sure shot indicator of her cognitive skills. Sometimes, the picture of the object may be a bit different from the real deal. For instance, the cube in a photo may be red whereas the real cube may be multicoloured. But, when your toddler matches the object to the picture, she’s actually learning about categorising objects based on their various physical aspects. While your toddler is matching objects to pictures, you could challenge her to a matching game by showing photos that look different in colour and dimensions from the objects at hand. If he’s able to match them correctly, applaud her and then ask her why she felt that the two were a match. As she tries to explain the logic behind this, she will have to use different words to express herself. This aids in improving her vocabulary and thereby, her language skills. As the matching skills in your 2-year-old child improve, she’ll start matching different looking objects of the same category to one picture. This is known as sorting, and is an important part of mathematics. The activity also helps her understand that the same category objects can have some variation. Though this might seem inconsequential to an adult, it forms the foundation for mathematical skills that will develop in her later years. The game of matching pictures for toddlers helps them get acquainted to the fact that objects differ from each other in a number of ways. 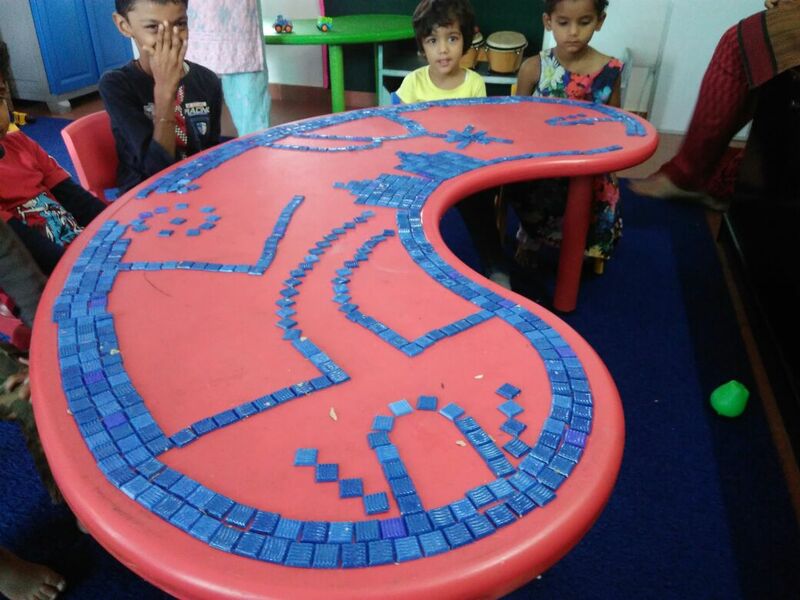 It also helps them identify alphabets and numbers in the later stage. Moreover, studying one-dimensional pictures works as a precursor to developing the ability to decipher printed words.